The world of motorcycle racing is a flashy and exciting one, but there’s a lot of work that happens behind the scenes before a bike can ever get onto the track. CRP Technology recently worked on a bike for a Moto3 customer that required a new front air inlet. Testing had shown that increasing airflow to the air box improved the engine’s performance, so the engineering team decided on a new, longer air inlet design, with an opening at the front side of the fairing for direct air flow with less turbulence. The team wanted to avoid having to modify the existing frame and triple clamps, instead creating a new design that would fit the existing platform. They reverse engineered the airbox by scanning it and reassembling it in CAD, which allowed them to design a new air inlet model based on the available space within the current airbox and frame. Once a first draft had been created, a prototype was 3D printed in CRP’s WINDFORM GF 2.0, which allowed them to perform multiple tests with multiple prototypes at low cost. The first prototype showed that a few sections needed to be changed due to the lack of space available under the lower triple clamp, an issue that would be further complicated when the bike was cornering and braking. For a creative way around the issue, the engineers created a portion of the duct with WINDFORM RL, a recently introduced rubberlike composite material. The material was used for the bottom part of the duct, in the fork and triple clamp area, and bonded to the remainder of the duct, which was 3D printed with WINDFORM XT 2.0. This would allow strong airflow, and when the rider braked, the front fender could move up and collapse the inlet duct without any damages due to the flexible material. The second prototype revealed that more changes needed to be made. The flexible section of the duct was too short, and the front forks could touch the area where the two sections were bonded when steering travel was checked from lock to lock position. The duct was also too close to the front wheel in the maximum braking position, and the front fender contact area on the soft part of the duct was too large, giving the rider a feeling of drag on the steering. The team decided to reduce the portion of the inlet that would make contact with the fender to reduce the drag. The flexible part made in WINDFORM RL was enlarged, and bonded to the front and central part of the inlet, which was 3D printed with WINDFORM XT 2.0 to reduce the weight of the component. The final prototype fit all requirements. 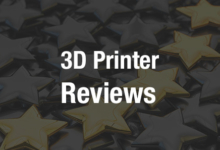 Selective laser sintering, or SLS, was used to 3D print the parts for the numerous iterations of the component, and without it, the prototyping process would have taken much longer, cost a great deal more, and likely not have been as successful. Designing in CAD gave the engineers much more design flexibility than they would have had otherwise, and being able to work with multiple 3D printing materials allowed them to easily adapt the part to the needs of the bike. CRP Technology’s WINDFORM materials have been used in the fabrication of everything from drones to masks, and this latest case study shows again how versatile the materials are – not to mention the versatility that 3D printing brings to what what otherwise would have been much more complicated design processes. Discuss in the WINDFORM forum at 3DPB.com.